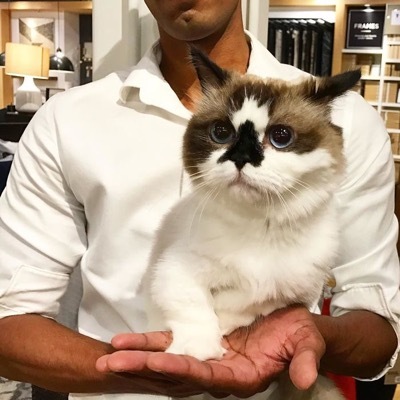 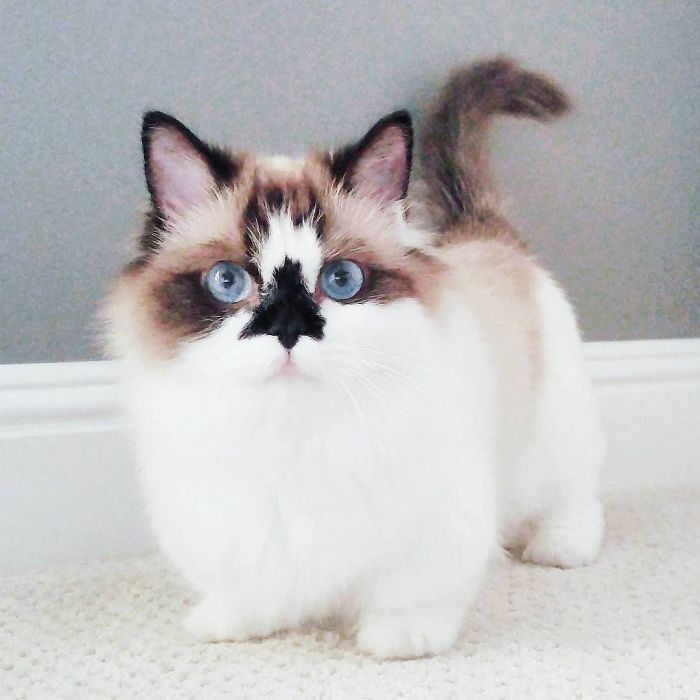 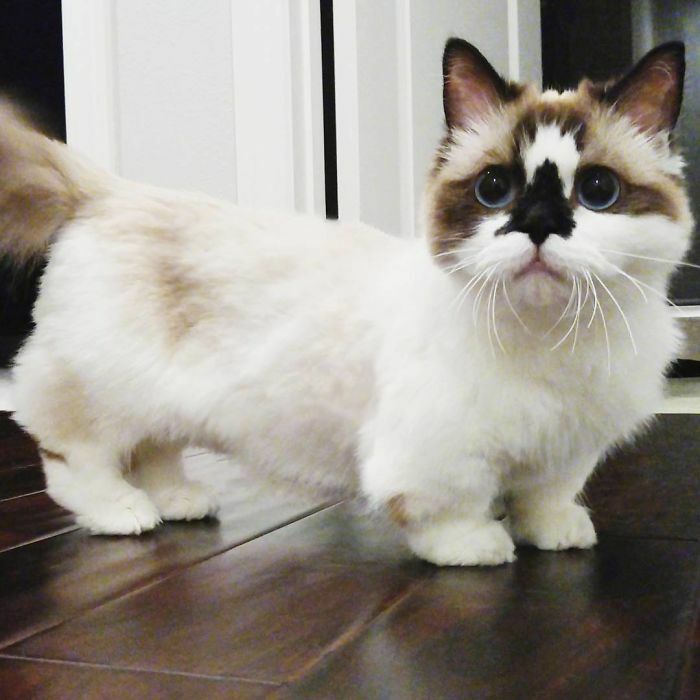 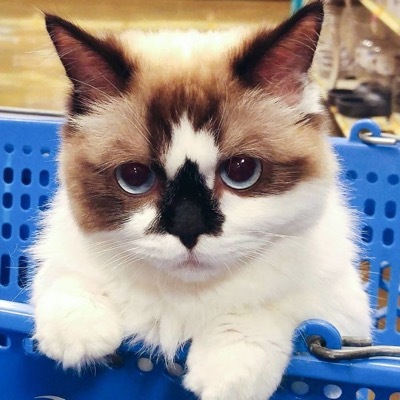 He’s an Instagram famous munchkin cat with beautiful blue eyes and adorable attitude. 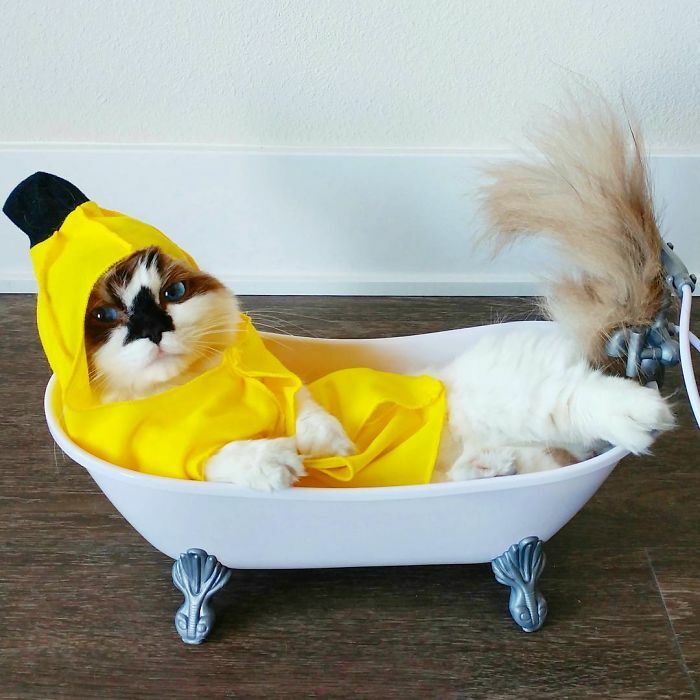 He has already amassed a staggering 467,000 followers on Instagram alone. 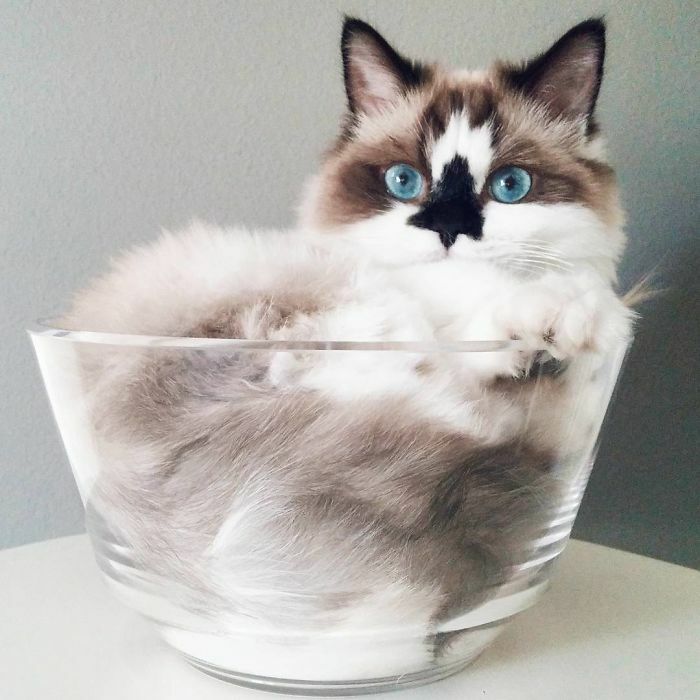 Some days Albert is a homebody and likes to stay in. 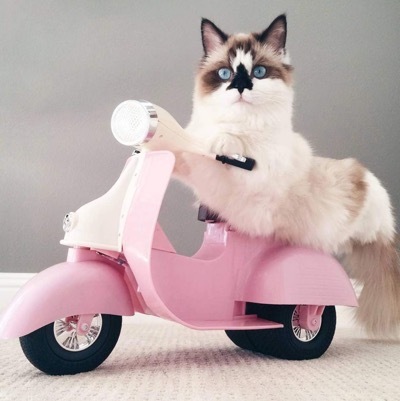 On other days he likes to take his scooter out but always remembers to wear his helmet because safety comes first! 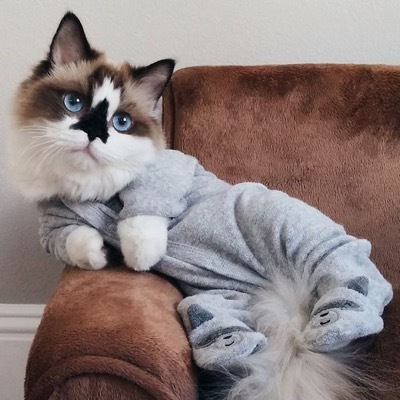 Albert is a kitty who loves to get dressed up and has a wardrobe full of his favorite outfits. 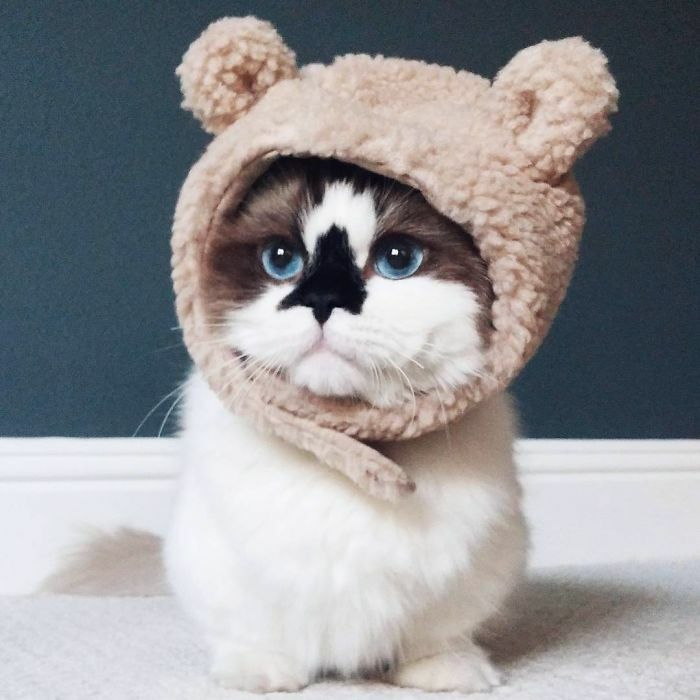 He loves to be frisky and wear the latest fashions. 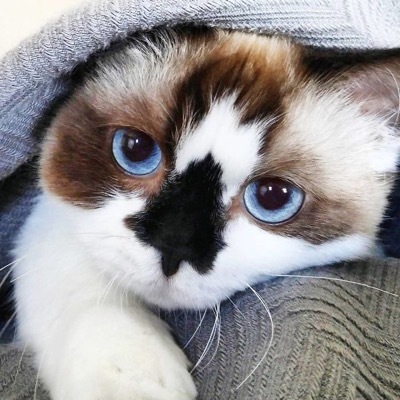 One look into his eyes and you’ll be smitten! 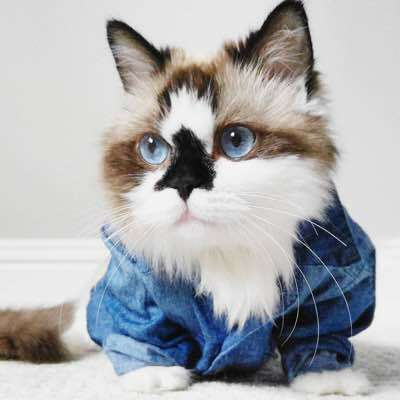 Click here to see the cat who wears her heart on her chest!